It's storm season here in Quebec city , Canada. You can recognize the big dipper and polaris star. It was on july 2 , 2018. 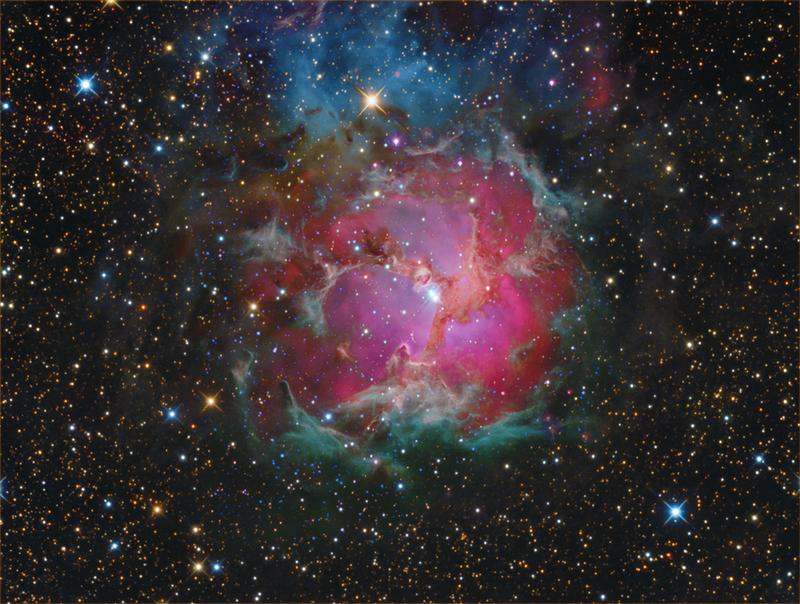 The Trifid Nebula is a star-forming region in the Scutum spiral arm of the Milky Way. The most massive star that has formed in this region is HD 164492A, an O7.5III star with a mass more than 20 times the mass of the Sun. 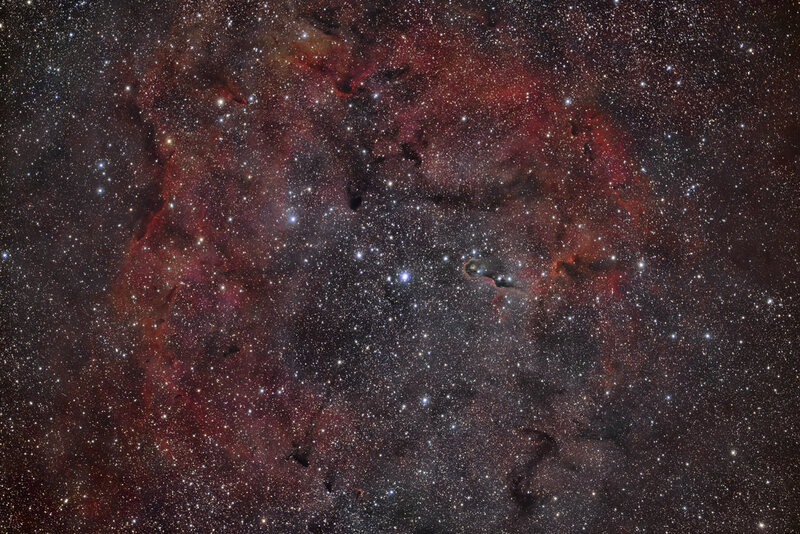 This star is surrounded by a cluster of approximately 3100 young stars. Last edited by bystander on Wed Jul 11, 2018 7:06 pm, edited 1 time in total. Reason: Please, no hotlinks to images > 500Kb. Substituted lower resolution jpg image from flickr. One of the most beautiful and fascinating structures in the northern sky: NGC 7023, Iris Nebula is a diffuse nebula the northern constellation of Cefeo. 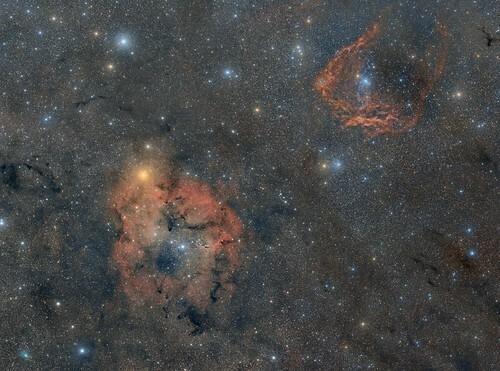 It is about 1400 light years from us and is characterized by an apparent magnitude of 7.7. It is a reflection nebula reflecting the light of some nearby stars. Taken on several nights of summer 2018, from our personal remote observatory 3Z @astrocamp, Manciano (italy). Last edited by Ilpool187 on Thu Jul 12, 2018 4:31 pm, edited 1 time in total. This is my first post. 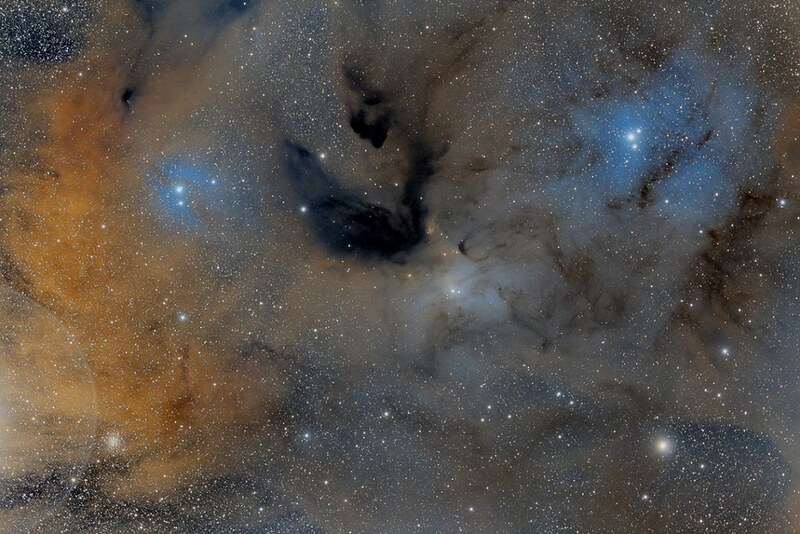 It's an image from the Rho Ophiuci / Antares zone. It was taken in San Antonio de Areco, Argentina on June 17, 2018. I used Pixinsight as processing software. Which was not my surprise when processing the photo and discovering that it had captured the star HD 168233 exactly between the C-ring and the limb of Saturn. This star has magnitude estimated at +9.25 and I never thought it would stand out so well due to the brightness of the rings and the planet itself. Despite the interval of only 4 minutes, it is possible to see the movement from one photo to another. Sorry for the poor viewing conditions, but still an interesting photo that leaves us quite happy with the result! NGC 4631 is found in the constellation Canes Venatici. The wedge-shape of this galaxy gives rise to its nickname, the Whale Galaxy. The starburst regions of this galaxy can be seen in the photo, which are due to intensive star formation. Tidal interactions of NGC 4627, which is seen just above NGC 4631, has been suggested as one of the reasons for the active core of NGC 4631 (as well as tidal interactions with other nearby galaxies). The small edge-on galaxy at the top of the image is PGC 3794315 (NASA Extragalactic Database). Total of 5 hr 40 min exposure taken with an SBIG STF8300c CCD camera and a 12.5 inch RCOS f/9 astrograph operating at f/6 (Astro-Physics CCDT067 reducer) mounted on a Paramount ME on the nights of 8, 15, 16 May 2018 in Mayhill, New Mexico (17 x 1200 sec Lights @ -15 degrees C; 15 darks; 128 bias; 128 flats). Processed with PixInsight 1.8.5.1353 Ripley (x64). The summer Milky Way rise over the peaks of Mount Parnassus, Greece, on July 4, 2018. According to Greek mythology, the mountain was sacred to Dionysus and the Dionysian mysteries. It was also sacred to Apollo and the Corycian nymphs, and it was the home of the Muses. 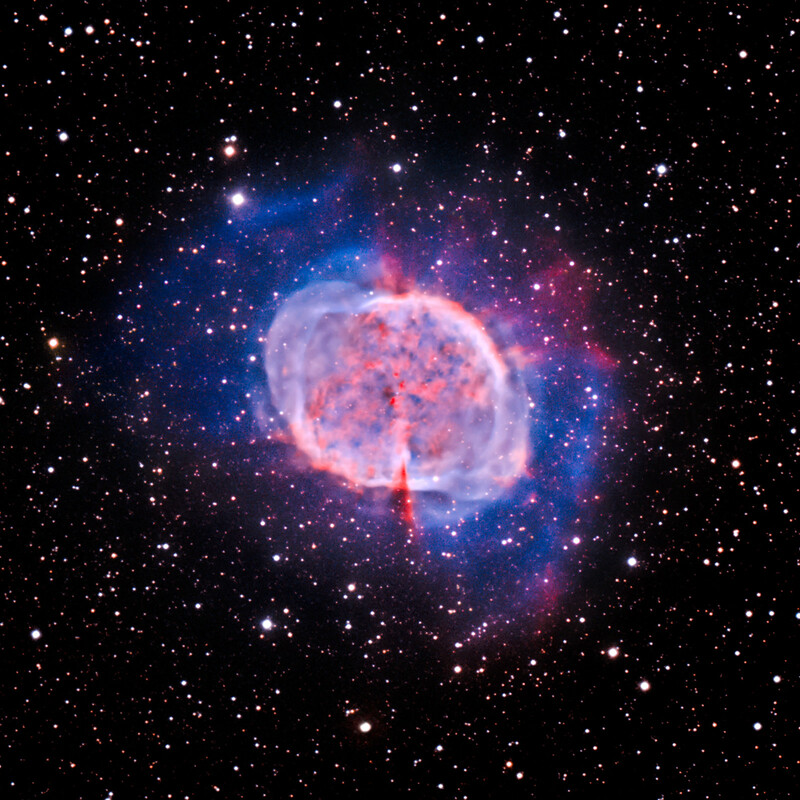 The Dumbbell Nebula was the first discovered planetary nebula. 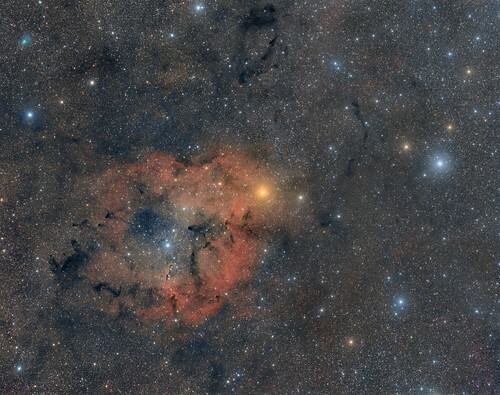 This beautiful nebula was discovered way back in 1764 by Charles Messier. Planetary nebulae form as dying stars expand and shed layers of gas into space. The light captured here traveled about 1,200 light years before reaching the telescope and camera! 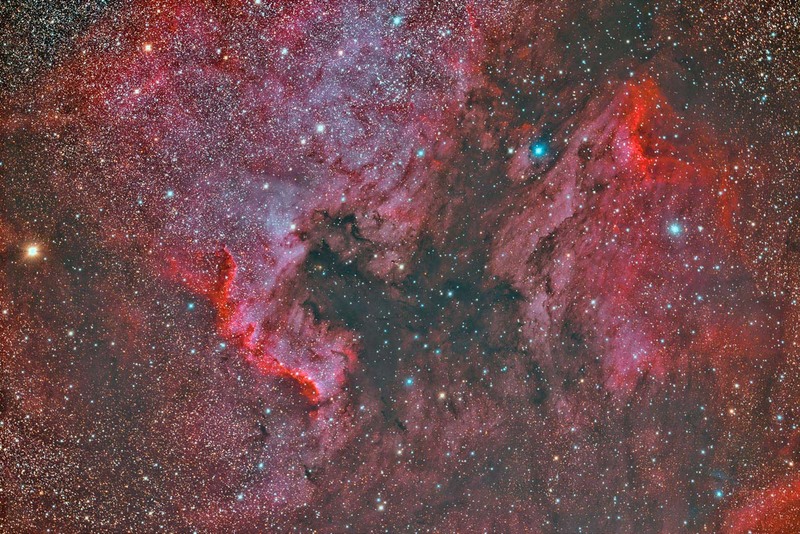 The image represents a total of 16.6 hours of exposure using special filters to pass only narrow portions of hydrogen and oxygen gas emitted by the nebula. What I love about narrowband filters is that you can understand basic chemistry of the target by looking at the colors. The red is hydrogen and the blue is oxygen in this image. 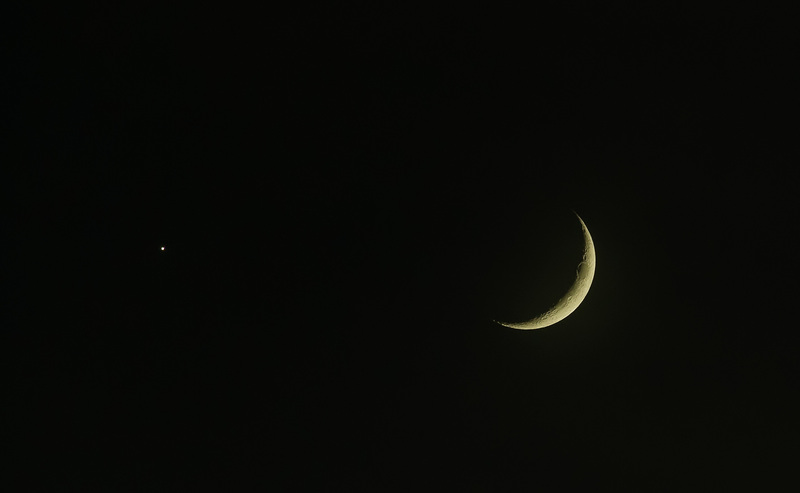 Shot using a PlaneWave CDK17 and L500 mount. Last edited by bystander on Fri Jul 13, 2018 10:27 pm, edited 1 time in total. 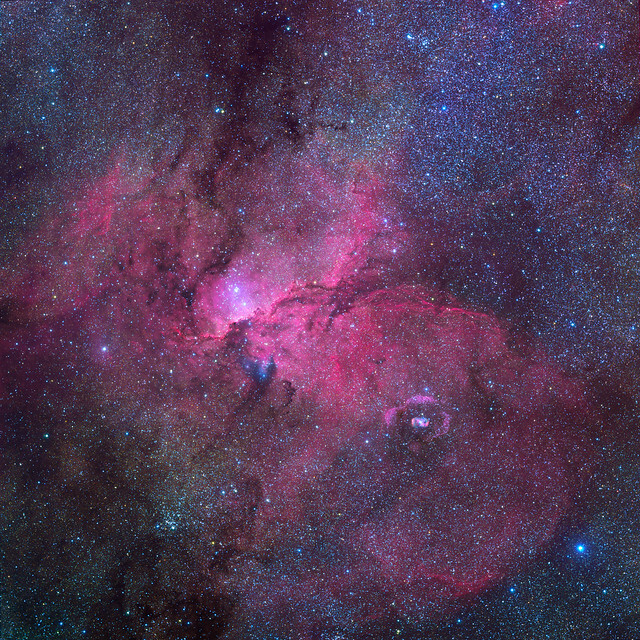 Ha/OIII bi-color with separate RGB star colors. Some 90 million light years away, towards the Southern constellation Hydra, lies the peculiar shell elliptical galaxy NGC 3923. As of 2018, there doesn't seem to exist any other amateur images of this beautiful galaxy. Its unusual appearance originate from past mergers with other nearby galaxies which have generated the myriad of concentric shells visible near the centre. 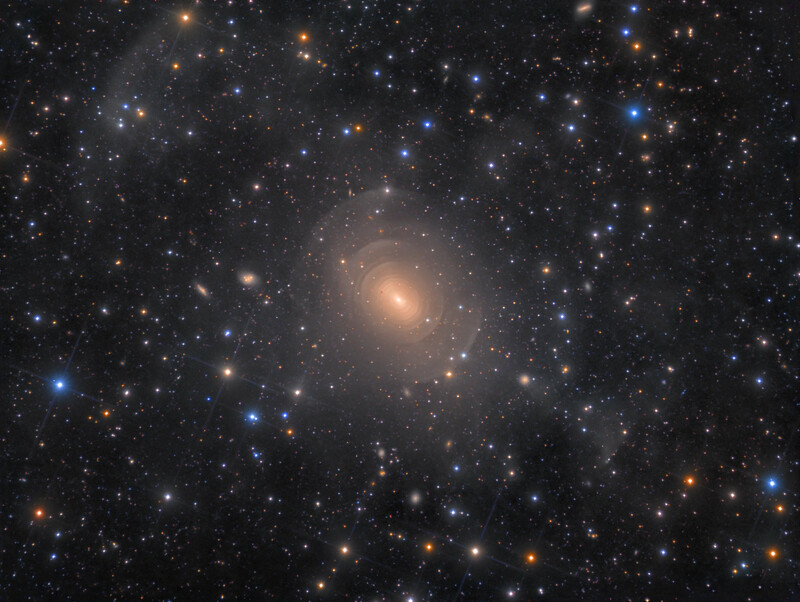 This phenomenon is in fact not uncommon and many other elliptical galaxies host large shell systems, including the famous Centaurus A (NGC 5128), but the remarkable symmetry and large number of subtle shells is unique to NGC 3923. The formation of such shells are a common observation in computer simulations of merging galaxies. The shells form when the cores of merging galaxies orbit around their common centre of mass in an ever tighter orbit while disrupting the halos of both galaxies and sending billions of stars into eccentric orbits. This process creates outward traveling density waves until the collision eventually settles as one single large galaxy. Recent research based on deep images from the Canada-France-Hawaii Telescope have documented 42 concentric shells in NGC 3923, more than in any other known galaxy. 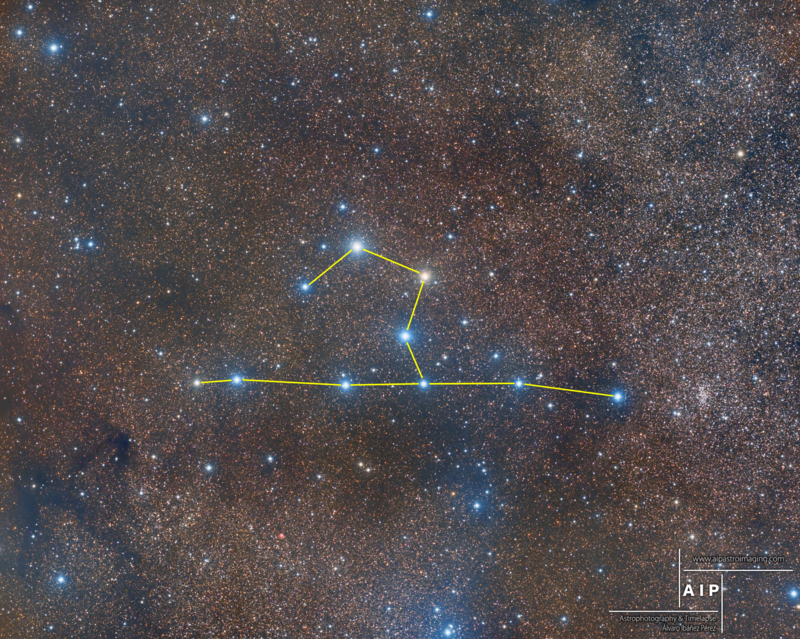 A prominent stream of stars is extending towards the lower right, terminating abruptly in a shell-like fragment (4 o'clock position). Visible within this stream is a small round galaxy, believed to be one of the merging progenitors of the shell system. The galaxy appears to be in the process of falling back towards the centre of NGC 3923, showing an almost comet-like tail of stars extending behind it. Scattered throughout the field of view, far in the distant background, are numerous other individual galaxies and galaxy groups. Some are even visible through the diffuse glow from NGC 3923. Many lie several billion light years away and are visibly reddened by relativistic redshift caused by the expansion of the Universe. The Incas' dark cloud constellation of the Llama in high resolution (21 tiles mosaic project, more than 40 hours of exposure time in total). Even higher resolution versions of the picture are available on request (the final file size is 80 mpix). Edit : Sorry for the big hotlink image It is now repaired. Last edited by Goudig on Sun Jul 15, 2018 11:23 am, edited 2 times in total. 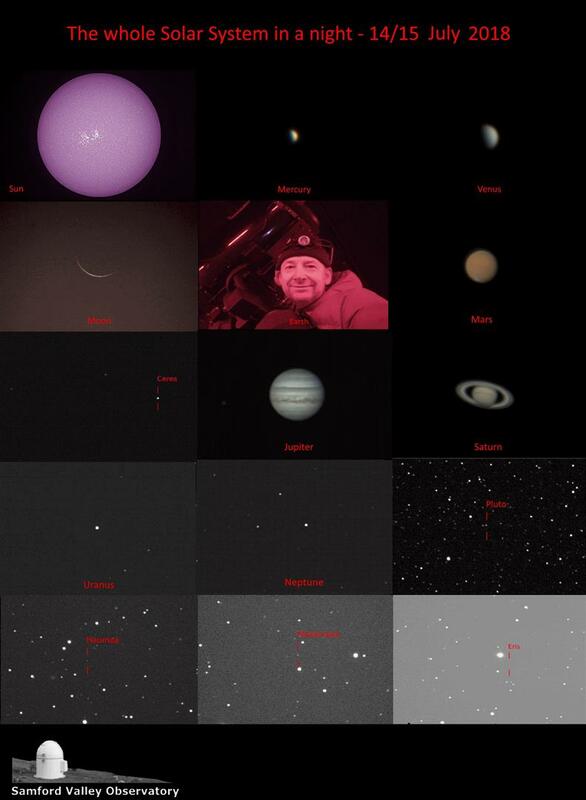 I did plan to do a nice wide field observatory shot for "Earth" but at 5am I was just too knackered so you're stuck with a selfie which is all I could manage. 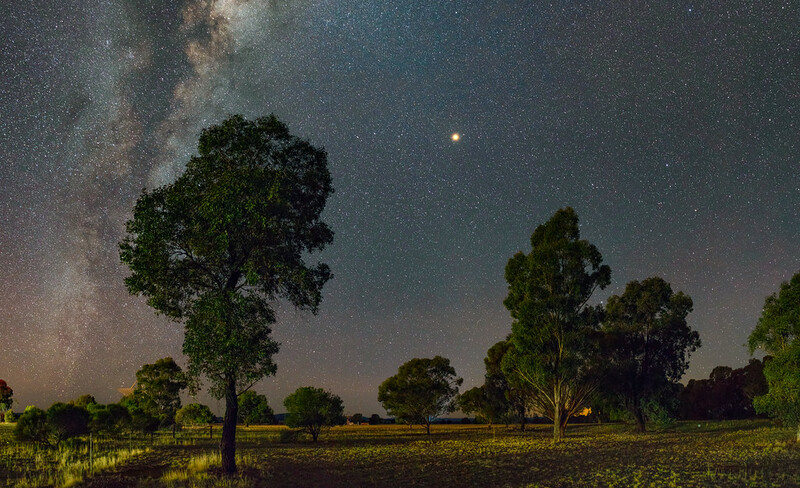 Taken at The Samford Valley Observatory (Q79) Australia by the bloke in the photo - Jonathan Bradshaw! NGC 5907 with Tidal Stream. Copyright KG Observatory, Julian CA. I started this project with the goal to capture the very faint tidal streams that R. Jay Gabany captured at a very dark site in New Mexico 12 years ago (June through August 2006). After a week, I concluded that my 21.5 average sky was no match for his 21.8+ sky at the time. Although our equipment is similar, I would need the marine layer cover over San Diego to see a 21.8+ sky. Unfortunately the marine layer was not present as I expected. Nevetheless, I'm happy with the results. What you see here is the same stretch applied to both the galaxy and the tidal stream. With that, you can see the relative brightness difference and the extensive glow around NGC 5907 that I have not seen in similar attempts at this very elusive galaxy/tidal stream pair. I hope you enjoy it! P.S. The glow at the bottom left is from a very bright out-of-frame star. Although I toned it down a bit, it was too difficult to completely eliminate without damaging the surrounding data. We're still studying the cause. Panorama of Mars rising in eastern sky, captured near Parkes, NSW, Australia on Friday 13th July 2018. The Fighting Dragons of Ara (NGC 6188), tussling over the gem encrusted magic egg complete with its mystical halo (NGC 6164), is a beautiful area of the Milky Way in the southern constellation of Ara. 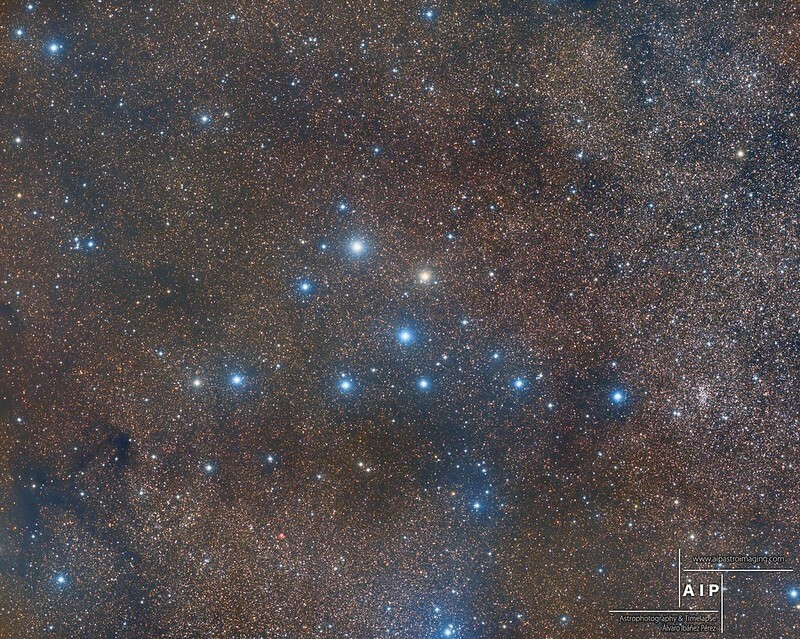 This 4deg X 4deg field also captures several star clusters and a few planetary nebulae...can you find them..?